You may have heard some buzz about the light bulb phase out – but do you know the details of what is actually happening and when? The Federal Energy Independence and Securities act began in the U.S. in October of 2012, and 40 and 60 watt incandescent light-bulbs were just phased out this week, on January 1st. Despite what some people have been calling it, it is really less of a “ban” and more of a gradual phase-out of outdated, obsolete energy-guzzling incandescent bulbs, which encourages retailers to start stocking the latest high-tech, low energy light bulbs. Despite the fact that this has been happening for quite some time now, many people still don’t know much about it. We consider it our mission at Inhabitat to help! A little while ago, we brought you a fun-filled article all about this important new federal law, but if for some reason you haven’t read our handy guide yet, or just prefer old-fashioned face time, we’ve made it even easier for you to digest the most crucial facts behind the light bulb phase-out (what it is, who it affects) with our new video explaining how to swap your bulbs. 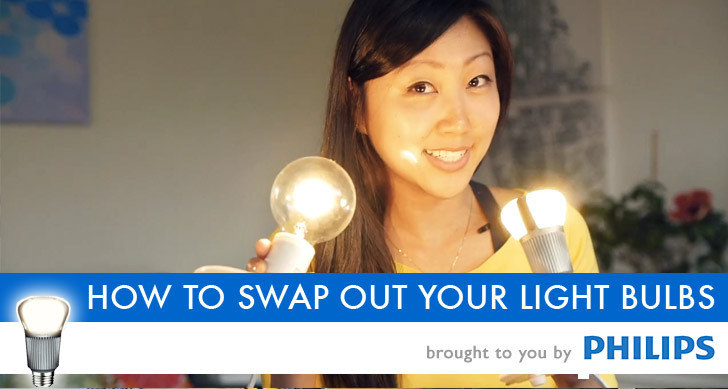 So if you’re wondering how the phase-out pertains to your household or which kinds of LED or CFL lights you can use to swap out your incandescents, move your mouse up to the video above and watch our handy-dandy clip. We’ll map out everything from which eco-friendly light bulbs replace which types of incandescent bulbs, to how much energy and cash you can save by switching – all in about 5 minutes. The way of switching your light bulbs is good . The LED bulbs are really better option than traditional because they provide you many features like long durability, energy efficiency, Instant Lighting & Frequent Switching so the phase out with this is nice step . Thanks everyone! I myself didn't know much about the new regulations until I began my research for this video so I'm glad all that studying is able to help others learn. Thanks for this video - it definitely helps to clear up some of the confusion on the coming changes. And the terrariums are so cute! Love that the phase out is coming, i've already started gearing up! Great video, as usual, Yuka! However, there is one issue I'd like to clarify. You say that LEDs and CFLs are full spectrum, but that's not the case. While it's true that older LEDs and CFLs usually had high color temperatures (5000+ Kelvin), most now on the market are a warmer white (2400K to 3500K). The old "full spectrum" bulbs are a specialty item for the most part and are increasingly harder to find. It's great to see all of the details of the incandescent light bulb phase out explained in one easy-to-understand video! What a well done video- I like how LEDs can replace and improve just about every light. Super useful information. I know so much about light bulbs now that I've watched this video! You may have heard some buzz about the light bulb phase out - but do you know the details of what is actually happening and when? The Federal Energy Independence and Securities act began in the U.S. in October of 2012, and 40 and 60 watt incandescent light-bulbs were just phased out this week, on January 1st. 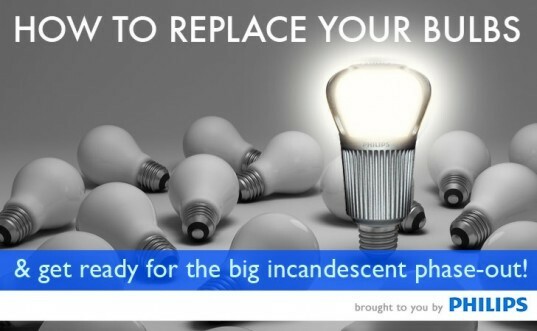 Despite what some people have been calling it, it is really less of a "ban" and more of a gradual phase-out of outdated, obsolete energy-guzzling incandescent bulbs, which encourages retailers to start stocking the latest high-tech, low energy light bulbs. Despite the fact that this has been happening for quite some time now, many people still don't know much about it. We consider it our mission at Inhabitat to help! A little while ago, we brought you a fun-filled article all about this important new federal law, but if for some reason you haven't read our handy guide yet, or just prefer old-fashioned face time, we've made it even easier for you to digest the most crucial facts behind the light bulb phase-out (what it is, who it affects) with our new video explaining how to swap your bulbs.